Ardell 'N Tense ('N Rage) One Step Hair Color Bleach Kit (also known as ('N Rage Mix 'n Go One Step Bleach 'n Color System). There's only one 'N Rage Hair Color System: One single step. In 30 minutes or less you get the brightest, coolest, hottest colors around. The patented one step haircolor system is a combination of unique ingredients which prelighten natural haircolor as it deposits brilliant, bright and dazzling color. 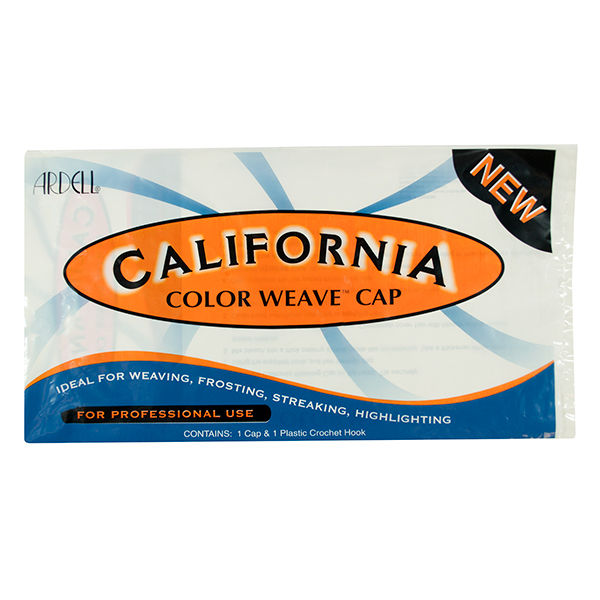 ARDELL Reusable California Weave Cap is ideal for tints, frosts, weaving, highlights, streaking and stains. Foam rubber cap protects scalp. Includes metal needle. 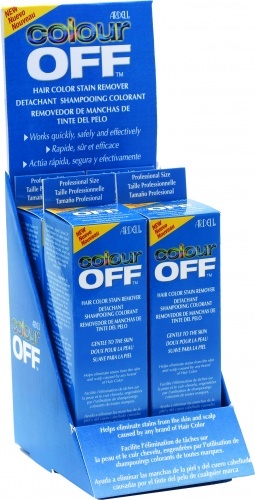 Ardell Colour OFF 4pc Display contains 4 pieces of Ardell Colour Off Hair Color Stain Remover 4.0oz helps eliminate stains from the skin and scalp caused by and brand of hair color Works quickly, safely and effectively. Apply Colour Off Stain Remover to cotton towel and gently massage stained areas on the skin or scalp until clean. Ardell Colour Off Hair Color Stain Remover 4.0oz helps eliminate stains from the skin and scalp caused by and brand of hair color Works quickly, safely and effectively. Ardell Fiber Locking Spray is a fine mist that further strengthens the bond between Ardell Thick FX Hair Building Fiber and fine or thinning hair. it helps keep hair building fibers in place under all conditions, including wind, rain and perspiration. Ardell Gray Magic is a unique way to cover resistant gray hair, and bring vibrancy and intensity to ALL hair color. Gray Magic Color Additive can be added to ANY color formula to achieve vibrant color and exceptional gray coverage. Formulated to help hair color penetrate deeper into cortex. Is also great for toning down ash (green) tones. Adds "punch" to red hair color formulations and helps to alleviate chlorine discolorations. Gray Magic work works because gray hair is the result of the loss of red and yellow color pigment. Gray Magic adds concentrate red and yellow with wetting agents to replace the lost color pigment and moisture, to 'lock-in' hair color. When added to shampoos or conditioners, will prevent fading and oxidtation for tinted red or warm colors (10 drops per ounce of shampoo or conditioner). Ardell Gray Magic Single Use Packet 24 pc Display (780571) contains 24 pcs of Ardell Gray Magic. Ardell Gray Magic Color Additive can be added to ANY color formula to achieve vibrant color and exceptional gray coverage. Formulated to help hair color penetrate deeper into cortex. Is also great for toning down ash (green) tones. Adds "punch" to red hair color formulations and helps to alleviate chlorine discolorations. Gray Magic works because gray hair is the result of the loss of red and yellow color pigment. Gray Magic adds concentrate red and yellow with wetting agents to replace the lost color pigment and moisture, to 'lock-in' hair color. When added to shampoos or conditioners, will prevent fading and oxidtation for tinted red or warm colors (10 drops per ounce of shampoo or conditioner). Ardell Laguna Color Weaving Cap (780510) are perfect for weaving, frosting and coloring. Includes needle. Professional, high-grade foam construction. Durable, cotton straps secure cap to head. 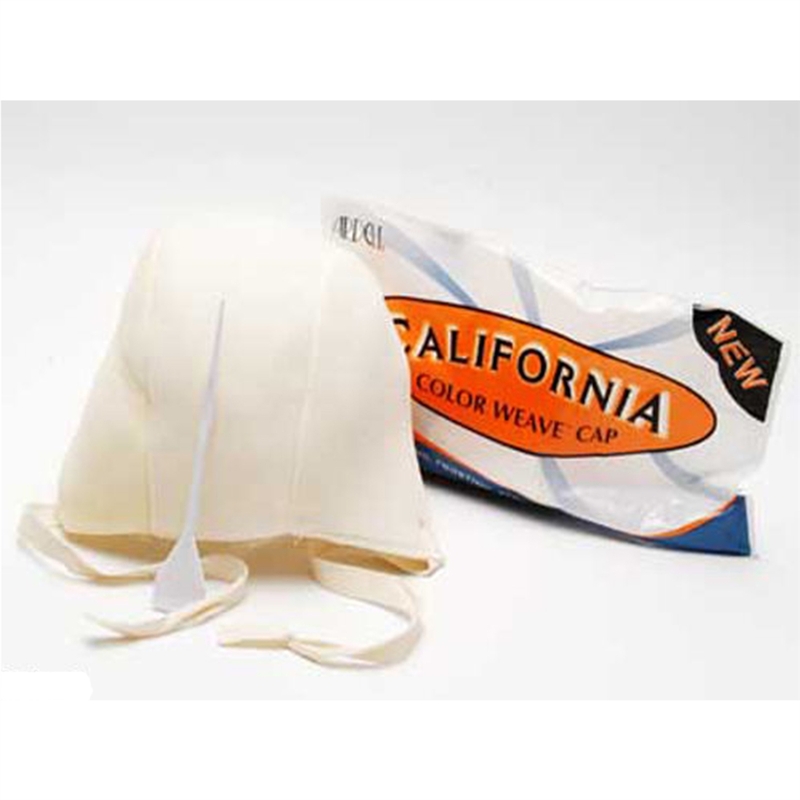 Foam protects scalp, absorbs chemicals. Ardell Thick FX Hair Building Fiber (12g / 0.42oz) is made of all-natural, colored keratin protein. The static electric charge causes the fibers to blend with your existing hair so it is durable and undetectable under all conditions, making it appear thicker. The fibers are wind, rain, and perspiration-resistant, yet easy to remove with shampoo. Perfect be used to hide sparse areas or balding spots, to touch up root color, or to blend hair extensions. Ardell Touch of Color 9 Piece Display (78004) contains 9 pcs of Ardell Touch of Color in a display pack. Ardell Touch of Color is the easy and versatile way to instantlycover up gray roots with temporary quick drying and conditioning pure color pigments. This display is recommended for retailers, salons, or make-up studios. Ardell Touch Of Color Black (6ml) is the easy and versatile way to instantly cover up gray roots with temporary pure Black color pigment. Simply twist to release this quick drying formula, sweep and go! Rich, true-to-life color provides instant touch-ups between hair colorings and the precision applicator places the color exactly where you want it. This conditioning formula leaves hair manageable and soft, never stiff, color easily washes out in one shampoo. z.Katy Perry Color Pop Lashes KA-CHING!